Pets can add companionship and unconditional love to your family. But after an accident or illness, they can also subtract a lot of money from your wallet. The best pet insurance should offer comprehensive coverage options, fair pricing, and fast, low-hassle claims processing. Our editors inspect hundreds of expert and owner reviews to recommend the best plans for your pet. Pets are an integral part of many families, and coping with their health issues can be just as traumatic -- and expensive -- as coping with those of human members of your family. The high cost of veterinary care, particularly for anything other than routine exams, can blindside a pet owner. That's where pet insurance comes in. Traditional pet insurance shares a lot of similarities with human health insurance. The industry lingo is the same: You pay a monthly premium for each pet, and you're responsible for a co-payment on your veterinary visits. Your pet's coverage is subject to a deductible, and the plan may or may not have an annual maximum that caps the benefits your pet can receive. Unlike plans for people, which have undergone some recent changes, you could still be subject waiting periods before coverage begins, and pet insurance typically won't cover pre-existing conditions. With most traditional pet insurance, you can take your pet to any licensed veterinarian, instead of being limited to a network of doctors as you are with some human health plans. However, you do have to pay the full cost of veterinary services up front, submit a claim to the pet insurance company, and then wait to be reimbursed — or told why your claim is being denied. Deductible. Every plan has a deductible -- an amount you have to pay before your coverage kicks in. In general, the higher the deductible you choose, the lower your premiums will be. However, it's also important to note what type of deductible your plan has. An annual deductible requires you to pay the deductible just once a year. Per-incident deductibles must be paid for each separate incident, so if your pet has an ear infection in May and swallows a sock in October, you pay twice. This means that you usually pay more out of pocket with a per-incident deductible. Dr. Frances Wilkerson, the vet who runs the Pet Insurance University site, notes that if you choose an extra-high deductible -- say, $500 or more -- and it's paid on a per-incident basis, there's a good chance you'll never meet the deductible in a given year and the insurance will never kick in. Reimbursement level. Also called co-insurance, this is the percentage of the vet bill covered by the carrier. Choosing a lower reimbursement level lowers your premiums, but it also raises your out-of-pocket costs for an expensive procedure. For instance, if you have a $200 deductible and 80 percent reimbursement, and your pet needs a procedure that costs $10,000, then you pay the first $200 plus 20 percent of the remaining $9,800, for a total of $2,160. If this is more than you can afford to shell out at one time, you might want to consider a higher reimbursement level. Maximum Payout. The maximum payout is the maximum amount your insurance will cover. Your plan may have a maximum payout per incident, per year, or per lifetime -- or it may use some combination of the three. Your plan's maximum payout needs to be high enough to cover your worst-case scenario: the highest medical bill you're ever likely to be hit with for your pet. Dr. Wilkerson recommends avoiding any plan with a maximum payout "per body system" or "based on a predetermined benefit schedule" (that is, paying no more than a specific amount for a certain type of disease). This type of maximum makes your benefits more complicated to understand, and makes it easier for the company to find excuses to deny a claim. Since there are so many variables to consider, we've calculated prices on this report based on the lowest premium you can possibly pay. We got quotes from each provider for the cheapest type of pet to insure: a single, mixed-breed, neutered, one-year-old cat with no prior health problems. Then we selected the cheapest possible plan for our sample pet, with the lowest maximum benefit, the highest deductible, and the lowest reimbursement level. In many cases -- for example, if you have an older, purebred dog and you choose the highest possible level of coverage -- your monthly premiums will be higher, and perhaps many times higher than this minimum level, so be sure to shop around for quotes among well-regarded pet insurance carriers when selecting your pet's coverage. A simpler alternative to pet insurance is a pet health-care discount plan, which offers a flat discount on nearly any type of veterinary care. Unlike many insurance plans, discount plans cover any type of pet with few or no exclusions, so they're worth a look for pets with a history of health problems. Another plus is that you see your savings immediately instead of having to wait for reimbursement. However, the amount you get back on your vet bills is generally lower, and you must choose a vet who belongs to the plan's network. Expect to pay about $10 a month for a single pet. To find the best pet insurance plans, we looked at expert reviews, of course, but also leaned heavily on user reviews at sites like PetInsuranceReview.com to learn about pet owners' experiences with different providers. We looked for plans that offer comprehensive coverage with few exclusions and are easy to customize to fit your needs. We also considered what pet owners have to say about each company's customer service and how quickly and accurately their claims were processed. Buying traditional insurance for your pet is, in some ways, like buying insurance for your car. You don't expect it to pay for routine maintenance, like oil changes or new tires; instead, it's there to help you out if you get into an accident that causes major damage. In the same pay, a pet health insurance policy covers the cost if your pet has an accident — or an illness — that costs big bucks to fix. You hope you won't actually have to use it, but in an emergency, it can be a real lifesaver -- perhaps even literally. 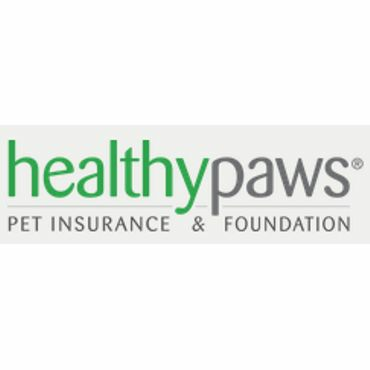 Our Best Reviewed traditional pet insurance company, Healthy Paws ($13 per month and up), gets top marks in nearly every source we consulted. It stands out from the pack on two points: first, its exceptional customer service, and second, the lack of any annual or lifetime cap on benefits. Most pet insurers reimburse you for veterinary bills until you hit the maximum payout for the year, which can be anywhere from $5,000 to $22,000. After that, you're on your own, which means if your pet has several expensive ailments or accidents in a single year, you could be on the hook for thousands of dollars -- the very situation that insurance is supposed to prevent. With Healthy Paws, you never have to worry about your coverage running out. 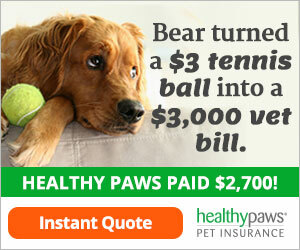 Healthy Paws offers pretty comprehensive coverage, as well. It covers the cost of tests, surgeries, hospital stays, and prescription medications, though not routine or preventative care like rabies shots or spaying. The plan also covers most hereditary and congenital conditions, including hip dysplasia. However, for this condition, there's a catch: pets must be enrolled before age 6, and the coverage doesn't kick in until 12 months after enrollment. The plan also promises no exclusions on emergency care. Pretty much the only thing it won't cover is pre-existing conditions. You can customize your Healthy Paws plan with a choice of three deductibles and three reimbursement levels. Owners say it's easy to submit claims, which you can do with a traditional paper form or a mobile app, and payment is fast. They also praise customer service, with some remarking that they even received sympathy cards after losing a pet. We saw a few complaints about legitimate claims being denied because of pre-existing conditions, but this is a problem that seems to come up with every company. 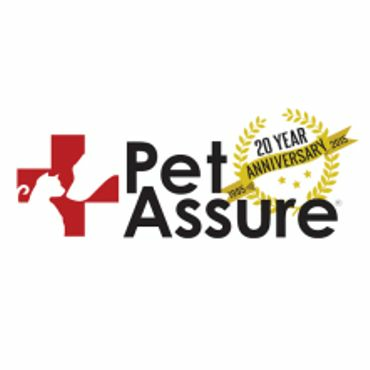 We also noted that most of the customer complaints at PetInsuranceReview.com, a site where pet owners can leave reviews about their pet insurance, received responses from Healthy Paws representatives attempting to resolve the problem. If Healthy Paws has a weakness, it's the limitations on coverage for older pets. You can't enroll any pet over 14 years old, and you have to enroll your pet by age 5 to be covered for hip dysplasia. So if you have an older pet, particularly a large dog that's vulnerable to this condition, Petplan might be a better fit for your needs. It has no upper age limit, and it promises lifetime coverage for all chronic conditions as long as you keep paying your premiums every year. All hereditary conditions are covered as well. Petplan ($16 per month and up) doesn't offer an option for routine care coverage, but it does cover prescription medicines, some alternative therapies, and even non-routine dental care, which Healthy Paws won't cover unless it's due to an accident. 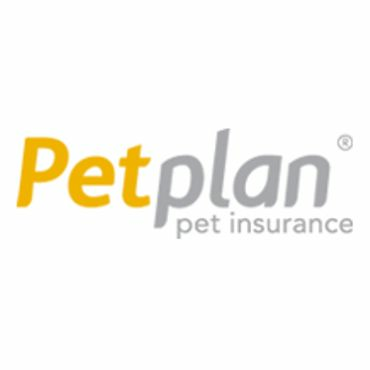 Pet owners are generally pleased with Petplan's customer service. However, there are some complaints that the claims process is unnecessarily complicated, requiring a signature from the vet along with all the pet's medical records. Petplan offers three levels of coverage, with maximums ranging from $10,000 to $22,000 per year, and you can adjust the deductible and co-pay for each one. The company's biggest weakness is that all its plans use a per-incident deductible, meaning that you have to pay a separate deductible for each new problem your pet has instead of just one annual deductible. That could get pricey if a pet has several unrelated problems in a single year. 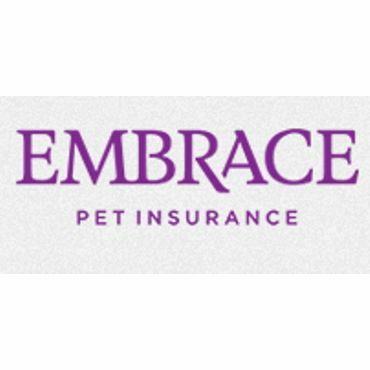 If you can't manage the monthly premiums for Healthy Paws or Petplan, one way to pay less is to choose a bare-bones plan from Embrace ($5 per month and up). This highly customizable pet insurance allows you to pare your premiums down to the minimum by selecting a low maximum payout, a high annual deductible and co-pay, and no prescription drug coverage. But it also allows you to go to the other extreme, paying a higher premium for ample coverage with a low deductible and even adding on coverage for routine care. With four annual maximums, six annual deductibles, and three reimbursement levels to choose from, Embrace can put together a plan for just about any budget. Embrace covers genetic and breed-specific conditions, including hip dysplasia. However, its limits on pre-existing conditions are stricter than usual; if your pet has ever had cancer, it's no longer covered for any form of cancer in any part of the body. Embrace's age limits are also stricter than those of other providers; for certain breeds, pets as young as six years old may be ineligible for coverage. Owners generally report good experiences with customer service, but some complain that Embrace wrongly denied their claims by inappropriately linking them to a pre-existing condition. One other plan that offers a considerable degree of flexibility is Pets Best ($6 per month and up). You can choose from three basic plans, seven annual deductibles, and four reimbursement levels. It's the only plan we've seen where you can select a $0 deductible and 100% reimbursement, dropping your out-of-pocket costs for illnesses and injuries to zero. However, that's only true for conditions that are actually covered. Pets Best doesn't cover any "preventable" conditions, and it isn't specific about what conditions fall into this category. Also, in some states, hereditary and congenital conditions aren't covered or have only limited coverage. And while most users say customer service is solid, some complain about rate hikes, slow claims processing, and inappropriate denials of coverage.